Per a Toyota press release, the company's Research Institute will be showing up to the 2019 Consumer Electronics Show in Las Vegas with a new semi-autonomous P4 prototype based on the current Lexus LS500h sedan. This LS is packaged with two semi-autonomous systems that Toyota currently has in development, dubbed Guardian and Chauffeur. Guardian is intended to be a step above driver assistance technology already available in production vehicles, such as emergency braking, radar cruise control, and lane-keeping. Chauffeur is meant to fulfill the more lofty goal of maturing into a fully autonomous system, which would be able to function without driver input. “Our Chauffeur development is focused on full autonomy, where the human is essentially removed from the driving equation, either completely in all environments, or within a restricted driving domain,” said TRI Vice President of Automated Driving, Ryan Eustice. “Guardian, on the other hand, is being designed to amplify human performance behind the wheel, not replace it." This P4 vehicle adds significant hardware to the car on which it's based. Four cameras placed in the prototype's cardinal directions survey the environment around it. 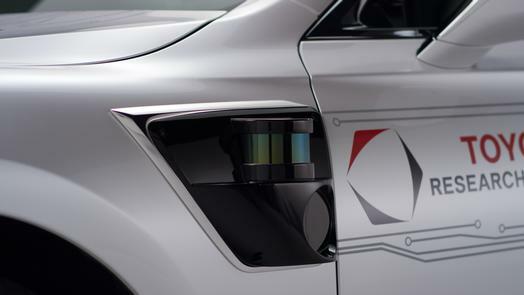 The production-spec radar system at the front of the LS500 has been modified to have a much greater field of view, with a sensor that can detect objects near or far. 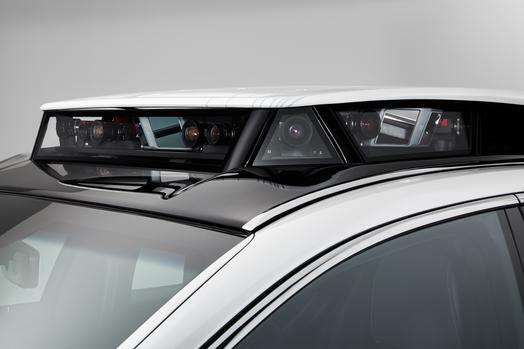 Eight LiDAR scanners have also been placed around the sedan's perimeter, minimizing any blind spots the system may have. Guardian, Chauffeur, and their accompanying hardware are all being controlled by an advanced computing system in the Lexus' trunk. This posterior processor is responsible for reading sensor data and making the endless calculations needed to respond to that data as quickly as possible. The computer runs on high voltage power supplied by the LS' hybrid system, with the ability to tap into the gas engine's 12-volt battery for auxiliary power. The development vehicle will be showcased during Toyota's CES press conference, taking place on Jan. 7. For those that can't make it out to the Vegas convention, the company will also be taking the car to the Lexus booth at the North American International Auto Show in Detroit later this month.